As a Dj, I get tonnes of songs everyday. It takes me a while to get to songs. I downloaded this one and listened it no less than 10 times. It grabbed me to the point I had to go search to see if there was a video, if she was on twitter and on Facebook. I was enthralled and entranced by the simplicity of the delivery, the flawless effort in her execution, the arrangement and musicianship and just the sincerity in the song. I don’t know who wrote the song, but that person is a good songwriter. I just had to share it with you. Meet Leontre. I took the bio straight off her Facebook page, but I intend to interview her myself. This girl has the voice of an angel. Leontre Feyona Roberts affectionately called ‘The Musical Butterfly’ was born on the 27th of September 1988. She grew up in Santa Cruz, St. Elizabeth and at the tender age of five she started writing songs and poems. Leontre grew up in church and it was here that she led her first choir performance at age seven. She attended the Santa Cruz Preparatory School and then matriculated to Hampton School for girls, a prominent Jamaican high school. While at Hampton Leontre further developed her singing and writing abilities as she was a member of the Hampton Day Girl Choir, which she directed in her fifth form year. Edna Manley College was also one of the molds that helped to shape the artiste Leontre we know today, whether it was under the tree with someone strumming a guitar or in a classroom. Leontre was a contestant in the Miss Jamaica World Western 2006 Pageant where she placed top five and awarded prizes for best legs and skin tone. She then went on to Miss Jamaica World 2006, where she was placed in the top ten and held the title Miss Jamaica Talent. In 2008 Leontre was crowned Miss St. Elizabeth Festival Queen and placed top five in the national competition. Leontre, who has been recording since 2008, is a prolific writer and passionate songstress who never subjects herself to being labelled. She takes pride in being able to venture into any genre or subject matter that appeals to her or her environment at the moment. ‘Jail House Rock’ a commentary on the high level of crime in Jamaica, a perennial issue for the country was well received when its video premiered on the Television show ‘On Stage’ and her interview on the show with host Winford Williams helped to raise her profile both in Jamaica and overseas. Her latest single ‘ Nothing Else Matters’ is a classic ballad which also expects a warm reception, together with the video which captures, through beautiful imagery, the deep emotions conveyed in the song. No matter the genre or subject matter of Leontre’s songs, a key element to her writing is that her songs carry a positive message which is strongly felt in her upcoming debut album ‘Middle-Aged Eighteen Year-old’ produced by David Scorpion for Gully Bank Musik Ltd. The album features a high-profile cast of musicians, Earl ‘Chinna’ Smith , Ian ‘Beezy’ Coleman, Lamont Savory and Ranoy Gordon on guitar, Leroy ‘Horsemouth’ Wallace and Kirk Bennett on drums, Robbie Lyn O.D. , Phillip ‘Winta’ James and Llamar ‘Riff Raff’ Brown on Piano,Organ and keyboards, Donald ‘Danny Bassie’ Dennis and Aeion ‘Yaaka’ Hoilett on bass guitar and Denver Smith on percussion and Dean Fraser on saxophone can also be heard on some of the tracks. Among the great minds contributing to the album is that of Roland Mcdermot (recording engineer) and Rohan Dwyer the mixing engineer who also recorded a few tracks. Leontre has performed on events like the Joe Higgs Memorial 2011, and also appeared on the television show “In The Dance” 2011 season where she performed ‘8am’ a dance track produced by ‘The Wizard’ who also produced ‘Jump For Jamaica’ a song which celebrates Jamaica’s 50th Anniversary and features Leontre in an allstar line up including Beenie Man, Marcia Griffiths, Etana, Steele, Courtney John, T.O.K and Mr Lexx. 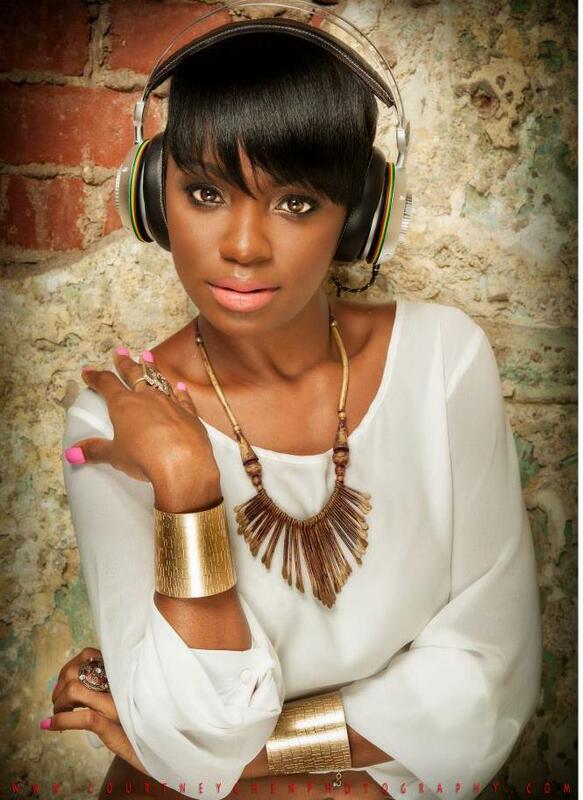 In January 2012 she performed to over seven thousand people on the Dennis Brown Tribute show, held in Kingston. Leontre’s favorite musical influences include jazz stylist Sarah Vaughan, soul/jazz greats Nina Simone and Etta James as well as dancehall queens Tanya Stephens and Queen Ifrica. Other artistes she listens to include Laren Hill, India Irie, Dinah Washington, Tessanne Chynn, Duane Stephenson, Assassin and Busy Signal. In her spare time Leontre enjoys reading, dancing, painting, swimming, kick boxing and writing poems and short stories. She is very passionate as one would note from her lyrics or stanzas in various songs or poems often reflecting on what she sees in her environment or on the news. Leontre realises she can make a difference in her emotionally battered yet beautiful country and people, who she loves, through her music , a language that knows no boundaries or state lines.